Throwback Thursday. 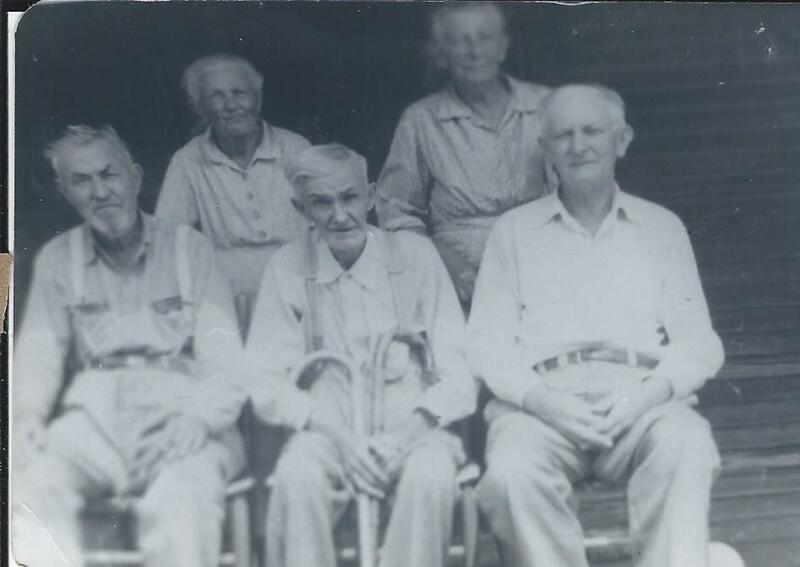 These are all my grandfather William Elijah Joseph Petty's siblings. 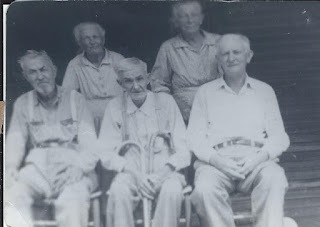 1st Row: Dawson Wesley Petty (1879-1960), James "Jim" Petty (1882-1956), and Ervin Petty (1882- ? ). 2nd Row: Nancy Jane Petty (1877-1965) and Sarah Alice Petty (1874 - 1958). Jim Petty married Lillie Henry. They had nine children. The three I know of were known for their success and hard work. Their son Glen was a physician in Chattanooga and lived on Lookout Mountain. He has a daughter that graduated from West Point and before she took her commission she and her brother biked from Alaska to Florida. The Jim Petty family lived on Jim Petty Road, Crandall, Murray County, Georgia. The last time I rode by their house, after Jim had died and Lille was living with her son Carlton and his famiy, the house was stuffed with straw and feed sacks. Beside Jim's house was a rugged dirt road. The dirt road went into another farm and another two storied farm house (like Jim's). This is where his brother Wesley, Nancy, and Alice lived. I used to look forward to our visits, I enjoy eating lunch with them but disliked the bitter milk (straight from the cow). Wesley and his two sisters never married. When they became elderly Alice died and Nancy had a stroke, then spending her remaining years in a nursing home. With Wesley living alone the house burned down taking Wesley's life. Ervin married a lady who owned a boarding house in Detroit and spent his life there. As a young man, his parents and siblings had to hold him down while his uncle Dr. William Garrett amputated his frostbit toes. His son Stanley Petty used to visit the Pettys in Marietta off and on. My uncle Roy Petty told me Ervin's daughter Inez Petty ran away and joined a circus.